Administrative Law Judge (ALJ) Rebecca Freie, Office of Administrative Hearings (OAH), State of California, heard this matter on November 2-3, and 9-10, 2011, in Mill Valley, California. Student was represented by Margaret M. Broussard, Attorney at Law. Ms. Broussard was also accompanied by Valerie Mullhollen, Attorney at Law. Mother and Father (referred to collectively as Parents) were both present for most of the due process hearing, except for short absences of one or the other. Student was present only when he testified. 1 Ms. Abramson assumed her position with the District at the beginning of the 2011-2012 school year, and was not the Director of Student Support Services during the time period at issue. 2 A few days after December 5, 2011, the ALJ realized OAH had no record of receiving Student’s written closing argument. Upon request, Student’s counsel then sent OAH another copy with proof that she had timely faxed the argument to OAH on December 5, 2011. Did the District deny Student a free appropriate public education (FAPE) from April 19, 2011, through the end of the 2010-2011 school year (SY), by failing to make him eligible for special education services under the category of other health impaired (OHI)? 1. Student is now 14 years old and resides with Parents within the boundaries of the District. He is highly intelligent, and the District found him eligible for Gifted and Talented Education (GATE) at some point prior to eighth grade. 3. In elementary school, Student had difficulties with behavior, beginning as early as kindergarten or first grade. In third grade he was reported as speaking out of turn in class, whistling and making other noises that disturbed his classmates. He had trouble with starting and completing homework, impulsivity, an inability to focus, and transitions. This continued in fourth grade. However, he did not have difficulty with the content of his course work. 3 For the record, the Student’s closing argument is designated as Student’s Exhibit S17, and the reply as Exhibit S-18. The District’s closing argument is designated as District’s Exhibit D-23 and its reply brief as Exhibit D-24. 4 The issue has been reworded from the Order Following the Prehearing Conference to correct typographical errors, and to add the eligibility category of OHI to the issue. The parties agreed to the addition of the eligibility criteria at the commencement of the due process hearing. 5 The District only serves students from kindergarten through eighth grade. Students residing in the District then attend high school in the Tamalpais District. Student’s complaint also included the Tamalpais District as a party. The Tamalpais District filed a notice of insufficiency to the complaint claiming there were insufficient facts to support a claim against it. OAH found this to be true, and when Student failed to file an amended complaint; OAH dismissed it as a party. 4. The family lived overseas in Student’s fifth grade year due to Father’s work, and Student did well in school according to Parents. It was unclear whether Student exhibited the same behaviors he had in earlier school years in this environment. When the family returned to the District, Student began his sixth grade year, the 2008-2009 SY, at MVMS. 5. Student received grades of A in all his classes in sixth grade and ended that school year with a 4.0 grade point average (GPA). 6. In February of his sixth grade year, Student developed unusual behaviors and was subsequently diagnosed as having an obsessive compulsive disorder (OCD). Parents promptly sought psychological counseling for him, and the OCD was resolved after 10 to 12 weeks of psychotherapy. 7. In seventh grade Student’s workload increased. He was given more responsibility for turning in completed assignments without prompting in class. He had difficulty initiating work on assignments, even daily homework, and then staying on task. Parents already had a history of helping Student with his homework, primarily to keep him on task, and to help him with organization for completing larger assignments. This often involved Mother or Father sitting with him as he did his homework. However, Student was often still doing homework from the time he came home from school until he went to bed and on weekends, even with Parental assistance. In comparison, his twin brother (Brother), who had the same classes and teachers, but during different periods, only took an hour each day to complete the same homework after school. Although he did not qualify for special education services, when he was in elementary school, Brother was diagnosed with a disability that affected him educationally. 8. At some point during the seventh grade, Parents decided to decrease their homework support because they were concerned that Student was too dependent on them. As a result, Student often did not know what his assignments were for homework, because he only copied assignments in his planner that were written on the board, and did not write down oral instructions from teachers. 6 As a result, he had to check with his friends and Brother to get complete assignments. He would lose important papers, including homework, and would also complete homework and forget to turn it in. Student fell behind, which was upsetting to him, and after four to six weeks, Parents resumed their more intensive monitoring of Student to make sure he completed homework and turned it in. 9. At the end of seventh grade, Student came to Parents visibly upset. He complained that he was behind on a large project and said he thought something was wrong with him. Student said that he wanted to be successful, but he just could not get started on work until the last minute. He told them that even though he knew he was smart, he often did not hear everything that was being said in class and forgot important information, such as what the assignment was. 10. In seventh grade, the 2009-2010 SY, Student received grades of A, B and C, and ended that school year a final trimester GPA of 2.83. 11. Parents were concerned about Student’s school performance prior to his expression of distress. After he expressed his distress about being behind in school, and having problems with getting his work done, they decided to have him privately assessed. Because it was the end of the school year they did not consider having the District conduct an assessment. 6 At the beginning of the school year the Parent Teacher and Student Association provided each student with a planner, called the Panther Planner. This allowed students to keep their assignments in a single location. 12. Although a student may be obtaining satisfactory grades, and have the knowledge and skills typical of a student of his age and in his grade at school, he may still have a disability and qualify for special education services. 13. Under both California law and the Individuals with Disabilities Education Act (IDEA), a child is eligible for special education if the child needs special education and related services by reason of mental retardation, hearing impairments, speech or language impairments, visual impairment, emotional disturbance, orthopedic impairments, autism (or autistic-like behaviors), traumatic brain injury, other health impairments, or specific learning disabilities. For purposes of the IDEA, a “child with a disability” is one who, because of the disability, needs instruction, services, or both which cannot be provided with modification of the regular school program. 14. A pupil is eligible under the category of OHI if the pupil has limited strength, vitality or alertness, due to chronic or acute health problems, which are not temporary in nature and adversely affect a pupil’s educational performance. A pupil whose educational performance is adversely affected by a suspected or diagnosed attention deficit disorder (ADD), or attention deficit hyperactivity disorder (ADHD), and who demonstrates a need for special education and related services may meet the eligibility criteria under the category of OHI, and may then be entitled to special education and related services. 16. Dr. Kosters received her Ph.D. in psychology in 1979, and has extensive experience in the field, including 17 years with Kaiser Permanente. She has been in private practice since 1999. She has supervised and taught interns in psychology. She has evaluated over 1,000 children. Dr. Kosters is familiar with the individualized education program (IEP) process in which children are made eligible for special education, and an educational program is developed to meet their needs, and has attended at least 100 of these team meetings. She has conducted assessments at the request of parents, as well as school districts. 17. Dr. Kosters assessed Student over two days in August 2010, with two hour testing sessions each morning and afternoon on the two days. She administered a variety of tests that measured his cognitive abilities, and mental processing abilities. She conducted clinical interviews of Student and Mother. She also had them complete several surveys, also referred to as questionnaires, about Student’s day-to-day functioning. 18. According to Dr. Kosters’s testing results, using the Wechsler Intelligence Scale for Children, Fourth Edition (WISC-IV), Student has a full-scale IQ of 126. If one discards relatively low scores in working memory and processing speed subtests that are in the average range, compared to other scores testing cognitive functioning which are in the above-average to very-superior range, Student’s General Ability Index is 139. This second measure of cognitive ability presents a more accurate measure of cognitive ability since it excludes consideration of processing deficits, and this is a permissible interpretation of WISC-IV results. 19. Other test instruments used by Dr. Kosters included the Wide Range Assessment of Memory and Learning, Second Edition (WRAML-2), the Wechsler Individual Achievement Test, Third Edition (WIAT-III), the Delis-Kaplan Executive Functioning System (D-KEFS), and the Test of Everyday Attention for Children (TEA-Ch). Scores and Student’s performance in various subtests of these test instruments ranged from aboveaverage to below-average, and Student made errors in some areas due to inattentiveness, or failing to complete a subtest within time limits, which resulted in lower scores. On occasion he appeared distracted and lost focus during testing, although he seemed interested. 20. In assessing Student, Dr. Kosters also used the Behavior Rating Inventory of Executive Function (BRIEF), the Brown Adolescent ADD Scales (a self-rating survey completed by Student), the Millon Adolescent Clinical Inventory (MACI) and the Rorschach Inkblot Test. The BRIEF, Brown and MACI consist of questionnaires completed by the child and/or parents and teachers, although, as will be discussed later, Student’s teachers were not consulted by Dr. Kosters. 8 For the most part, Mother and Student’s responses were consistent with those that indicate a child has ADHD. 7 According to Dr. Kosters, ADD and ADHD are terms that are now used interchangeably. ADHD is more commonly used, and there are different manifestations of the condition. 21. At an IEP team meeting on April 19, 2011, District personnel seemed to agree with Dr. Kosters’s diagnosis of ADHD. However, the District now questions the validity of Dr. Kosters’s assessment as a whole because she did not interview Student’s teachers, or observe him in a school setting. Further, the District argues that Dr. Kosters’s diagnosis is flawed because she based it on some subtest scores in the average range on several larger assessment instruments, by comparing them to scores in other subtests that were in the superior range due to Student’s high cognitive ability. The District seems to argue that unless Student’s scores on these subtests fell into the below average range, they should not be used to diagnose ADHD. Further, the District claims that there was no evidence that Student had manifested signs of ADHD before the age of seven. However, the testimony of Parents established that Student had school difficulties that were indicative of ADHD before the age of seven. 22. Although the District now claims that Dr. Kosters’s assessment is flawed for various reasons, and challenges the ADHD diagnosis, the ALJ has given great weight to the assessment and finds it appropriate and valid. Although classroom observations and teacher interviews and feedback might have resulted in a more well-rounded assessment, the evidence did not establish that the results would have been any different. This is particularly true in light of the evidence discussed below concerning Student’s eighth grade year, and teacher comments that were part of the District’s assessment in the spring of 2011, as well as the testimony of Parents and Student, which demonstrated that Student has many traits and behaviors of a child with ADHD. Further, District personnel also did not observe Student in the classroom setting as part of their assessments. 23. Dr. Kosters relied on several different factors to reach her conclusion that Student has ADHD. She found that Student had inconsistent scores on several subtests on the WISC, especially in areas related to executive functioning. He was easily distracted during some subtests, and had difficulty meeting time limits on others. By self-report, and Parent report in both clinical interviews and survey responses, Student had great difficulty maintaining focus in some of his classes, and difficulty initiating and completing work, both in class and at home. However, because he was so intelligent, he could complete required state testing with scores in the superior to very superior range, and this ability to excel at certain types of academic testing also served him well in maintaining average to better than average grades in school. 8 Dr. Kosters testified that when she evaluated Student it was the very beginning of the school year, and she was concerned that Student would only have been in his teachers’ classes a few days, so they would be unlikely to present knowledgeable and accurate responses to questionnaires concerning Student’s performance. Further, her assessment was not intended to be the type of psychoeducational assessment relied upon by school districts to find a child eligible for special education. 24. Student’s difficulties in executive functioning are demonstrated by his inability to easily initiate work on assignments that are not of interest, time management problems, and problems with prioritizing and organizing. In Dr. Kosters’s opinion, Student’s lack of attendance to verbal instruction in school, as opposed to more interest in interactive instruction that usually engages him, is due to his difficulty in sustaining alertness if he loses interest in the subject. Both Dr. Kosters and Student testified that maintaining his attention in school, especially classes that are less engaging, exhausts him. However, Student made it clear that he was not bored in these classes; it was just tiring because he had to extend more effort to maintain focus during the less engaging classes. Student was credible when he testified that he “spaced out,” or was inattentive, one to five times each class period. Dr. Kosters was persuasive in her testimony that as the demands in school increase, Student will have increased difficulty completing necessary work and accessing the curriculum. Dr. Kosters also opined that Student did well in classes that were highly structured, as well as engaging. 25. In Dr. Koster’s opinion, Student requires a period every school day where he can receive direct instruction to help him learn to organize, and be coached to develop executive functioning strategies. This intervention will be most helpful if it occurs in the school setting. Although students generally receive instruction in general education about organization and study skills and strategies, Student is still three to four years behind his typically developing peers in this area. ADHD is not something that he will grow out of, nor will he be able to learn compensating strategies without direct intervention. 26. Parents sent a copy of Dr. Kosters’s evaluation to the District in October 2010. Mother also emailed Student’s teachers to explain Student’s difficulties in school due to his ADHD. 27. Parents continued to spend several hours each school night helping Student to stay on task with his homework, and assisting him with planning and working on large project assignments. Brother, on the other hand, would still complete his homework in about an hour after school. Parents procured six hours per week of after-school private tutoring services to assist Student with homework. 29. Study hall was a “free” period in which Student could go to the school library, or a counselor’s office to work on his homework assignments. However, Student received no real supervision or assistance from adults during this period. Although Parents believed that the additional time helped him to complete assignments, there still was not a significant decrease in the time Parents were required to work with Student to ensure that he completed his homework at home. 30. In algebra, most students would complete much of the daily assignment in class after whole-class instruction. Evan Lloyd, the algebra teacher expected students to have no more than 30 minutes of homework each night to complete the assignment for the day, and there was evidence that some finished the work during class. However, Student could not get started on assignments. He would then bring them to tutoring or home as homework, and would still take hours to complete them. As a result, Parents reached an agreement with Mr. Lloyd in October or November 2010 that Student would only be required to complete as much work in algebra as he could in one hour after school. Mr. Lloyd would then give him full credit if Mother or Father signed his paper to certify that he had spent the requisite hour on algebra homework. This occurred frequently. Student received B grades each trimester of the 2010-2011 SY. 31. Student’s ADHD affected him in many of his classes. He testified persuasively that the reason he did not do well in his French class was because he would become disengaged and inattentive. He wanted to succeed in the class, but had difficulty with being attentive in class since much of the class time was spent with students completing worksheets. 32. In band, Student played the trumpet, but when other students were getting individual help from the band teacher, Student could not stay still. As a result, he was sent to the office many times. 33. The District convened a school study team (SST) meeting in December 2010. 9 At this meeting it was suggested that Student participate in “audit,” a program where students could meet with teachers after school to make sure they had noted all their assignments in their planners, and to keep track of work that still needed to be done. However, Student could not remember to go to his teachers for audit on the assigned day. 9 Many school districts convene an SST prior to referring a child who may have a disability for a special education assessment, and/or a meeting to determine if the student needs accommodations pursuant to the Americans with Disabilities Act (ADA). This type of accommodation is often referred to as a 504 plan. 34. Student worked very hard in school to pay attention, and to remember verbal instructions, particularly those relating to assignments. However, school was exhausting in that he struggled to maintain alertness throughout the school day. 35. Student’s school difficulties due to his ADHD also extended to extracurricular activities. He wanted to try out for the basketball team, but he missed all three days of tryouts. On the third day, before leaving for school in the morning, Student wrote a reminder to himself on one of his hands for the last day of tryouts after school. However, when he washed his hands during the day, the reminder disappeared and he missed the tryout. Student made the team only because Parents intervened with the coach who gave him a break. 36. Another example of Student’s difficulties with extracurricular activities concerned him being selected to emcee the school talent show. Although he was very excited about the role, he kept forgetting when rehearsals were held. He therefore missed rehearsals, which almost led to him losing the part. 37. Student’s participation in sports, music lessons, the talent show and a musical at school did take up some of his afternoon after-school time and weekends, but Mother testified persuasively that these after-school activities helped him to do his homework more easily once he got home. 38. Most adolescents of Student’s age in the general education curriculum have the self-motivation to initiate work on school assignments, stay on task, and complete assignments. They have the organizational skills to keep track of assignments so homework can be completed when assigned, and to remember to bring homework to school and turn it in timely. They can complete large projects with minimal parental assistance in organizing their work, and are capable of breaking down larger tasks to smaller ones so that the project is not unstarted when there is little time left for completion. Due to his ADHD, Student lacks these skills. 39. Parents have worked very hard for many years with Student to teach him these skills. However, they are not educational professionals. Further, it would be more effective for Student to have specialized instruction to gain these skills in a school setting. 42. On December 5, 2010, Parents also sent a second letter to the District requesting that Student be provided with a 504 plan pursuant to the ADA. Parents again requested assessment on December 9, 2010, but requested that it be one that could qualify Student for a 504 plan. The District subsequently declined to provide Student with a 504 plan, and did not respond to the request for a 504 assessment. 10 Parents were not given an assessment plan for special education until February 2011, after more interaction with District personnel. 43. Student was assessed for special education in March 2011 by Amy Zlatoper, M.S. Ms. Zlatoper is a credentialed school psychologist who works for the Tamalpais District. 11 She has worked as a school psychologist for Tamalpais for nine years, and has previous experience as a school psychologist. 10 There is no requirement for a student to be assessed in order to qualify for a 504 plan. OAH has no jurisdiction to decide issues related to the ADA. 11 The District chose a Tamalpais District psychologist because Student would be attending that district’s high school for the 20011-2012 SY, and it was believed that there would be more continuity if a Tamalpais District psychologist assessed Student. 45. Ms. O’Toole conducted an academic assessment of Student, and obtained comments from each of his teachers. Ms. O’Toole is a resource specialist program (RSP) teacher at MVMS, and has been so for 11 years. She has worked in the field of special education for 18 years, and has a special education credential for the learning handicapped, as well as an RSP credential. 46. In responding to a questionnaire provided to him by Ms. O’Toole as part of her assessment, Mr. Lloyd acknowledged that Student had reduced homework assignments and said that he needed help to develop “an organized, detailed approach to his studies.” Mr. Lloyd also testified at the hearing and confirmed these observations. He also testified that Student needed redirection because he would fidget or “zone out” during class. 47. Student’s language arts teacher noted that on writing assignments Student needed to work on proofreading to ensure his writing was “grammatically correct, as well as organized.” Although there had been issues with him completing language arts homework in the fall, this was no longer a problem. 49. Ms. Eagles reported that Student “[puts] in a bare minimum effort,” and “[does] not seem motivated by much to change his ways. . . . He struggles with follow through, completion of work projects and time commitments. I am very concerned about him going to high school with his present performance; he only completes 50% of the classwork and 30% of his homework.” 12 Ms. Eagles testified that homework comprised 35% of Student’s grade. However, students were given many opportunities to get extra credit in her class. She also testified that during his last trimester, Student excelled in her class. Student received trimester grades, respectively, of B, C+, and A-. 12 At the due process hearing, both Ms. Eagles and Ms. O’Toole testified that Ms. Eagles was actually referring to another pupil who was also being evaluated, and one or the other had mistakenly included the statement in Student’s academic assessment. However, Ms. Eagles and Ms. O’Toole both attended the April 19, 2011 IEP team meeting, and in a recording of the meeting that was entered into evidence, these comments by Ms. Eagles were discussed in detail, and at that time neither she nor Ms. O’Toole gave any indication that another pupil, not Student, was the subject of these comments. Further, at that IEP meeting, and in the due process hearing, Ms. Eagles testified that Student consistently wrote in his planner, which was supposed to be used to record assignments. However, Parents credibly testified, and reiterated what they had said at the IEP team meeting, that Student’s planner did not reflect science assignments as being recorded. The ALJ does not conclude that either Ms. Eagles or Ms. O’Toole were being intentionally deceptive; rather, memories can fade with the passage of time, especially when one is working with a large number of students. Further, even if it were true that Ms. Eagle’s comments were referring to someone other than Student, there is still sufficient evidence to support the findings in this Decision. 50. Ms. O’Toole declined to find that Student had a specific learning disability because there was not a significant discrepancy between his academic testing scores and cognitive ability. Ms. Zlatoper’s assessment did not diagnose Student as having ADHD. However, she testified that she was not qualified as a school psychologist to make this formal diagnosis, although Dr. Kosters was because she is a clinical psychologist. 51. Ms. Zlatoper’s assessment contained many recommendations that would purportedly assist Student in developing compensatory skills to deal with his ADHD. However, Parents had implemented most, if not all of these recommendations in previous years without success. For example, they placed a calendar on a whiteboard in his room to help him visually keep track of work, and on Sundays they would assist him in writing out his schedule for the coming week in his planner. However, he would still miss assignments. Parents would help him put reminder notes on his cell phone, but he would forget to turn it on, or he would lose the cell phone. 52. An IEP team meeting was held April 19, 2011. Parents and Dr. Kosters attended the meeting on behalf of Student. The District was represented at the meeting by Ms. O’Toole; Ms. Zlatoper; Ms. Eagles; Kate Foley, the school psychologist at MVMS; Allison Goodman, school counselor at MVMS; the principal of MVMS, Matt Huxley; Anna Lazzarini, vice principal; and the Director of Student Support Services for the District at that time, Mark Barmore. 53. The IEP team meeting was civil, but contentious. Parents made a formal presentation detailing Student’s problems with school. All parties acknowledged that they had read Dr. Kosters’s evaluation and the District’s assessment reports by Ms. O’Toole and Ms. Zlatoper. 54. The IEP team, including Parents, agreed that Student did not meet the IDEA criteria for having a specific learning disability. Further, District personnel did not disagree with Dr. Koster’s diagnosis of ADHD at the IEP team meeting, and one District participant, whose identity could not be ascertained by the ALJ when listening to the recording of the IEP team meeting, stated that Student probably did have ADHD. No one at the IEP team meeting disagreed with this statement. However, District personnel believed that Student was not qualified for special education under the eligibility category OHI, because his grades were passing, he was matriculating from grade to grade, and his state standardized testing scores were in the advanced to very superior range. 55. Ms. Zlatoper stated that there would be numerous supports for Student in the general education curriculum once he matriculated to high school in the Tamalpais District, and that the Tamalpais District’s standard practice was to find pupils such as Student eligible for special education only when they were no longer capable of passing classes. 56. At the due process hearing, Ms. O’Toole acknowledged that a pupil could qualify for special education even if he had passing grades, and high standardized testing scores. However, the evidence established that the District had initially refused to assess Student for special education in December 2010, based on his high standardized testing scores and passing grades. Parents’ description of the amount of support they were providing Student at home and tutoring services were not considered unusual by District personnel at this time since many pupils at MVMS have parents who are highly educated, have significant involvement in their children’s education, and often provide their children with outside academic support. Therefore, little weight was given Parents’ description of the assistance that they were providing Student after school, and an assessment was denied. 57. Ms. Zlatoper testified at hearing about a typical student in the Tamalpais District that she has found to meet eligibility under the category of OHI for ADHD. Such a student exhibits the following symptoms: difficulty maintaining focus in class due to the length of class periods (some days as much as 90 minutes per class); fidgeting in class; acting out; difficulty turning in assignments; difficulty completing assignments; difficulty maintaining binders; difficulty with “staying on top of long-term projects;” and sometimes social issues. However, Ms. Zlatoper testified persuasively that many students with ADHD do not need special education services. 58. The evidence established that in the 2010-2011 SY Student was distracted in class, had difficulty completing and turning in assignments, difficulty maintaining his Panther Planner, and difficulty starting and completing long-term projects. However, Ms. Zlatoper testified that based on her testing, Student did not meet the eligibility criteria for special education under the category of OHI because, in her opinion, he was able to access the curriculum and was progressing educationally, as demonstrated by his passing grades and matriculation from middle school to high school. District personnel did not disagree with this conclusion. 59. Like Ms. O’Toole, Ms. Zlatoper testified that many students in the Tamalpais District had parents who provided them with school support and tutoring. 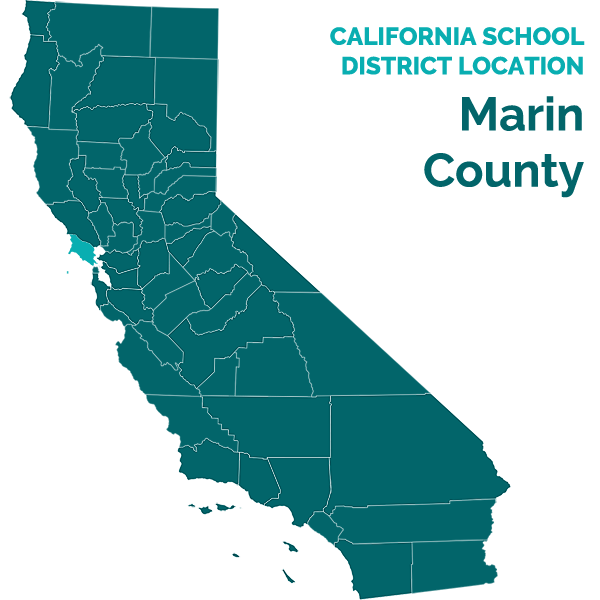 All students in the District matriculate to high school in the Tamalpais District. However, Parents testified persuasively that when they talked to parents of other students at MVMS, those parents were providing significantly less support to their children than the several hours per night Parents were spending with Student assisting him with his homework. Further, as previously discussed, Brother, who was taking most, if not all of the same classes as Student at MVMS, only spent an hour each night on homework, and did not require parental assistance to complete it. 60. At the IEP team meeting, District personnel seemed to discount the fact that Student was receiving six hours of private tutoring per week, as well as several hours each school night of one Parent keeping him on task and helping him organizationally so he could complete his homework and larger projects. This assistance was far more intensive than routine parent reminders when a normal middle-schooler leaves homework to play a video game, or providing the student with occasional help with internet research or typing a paper. 62. Students with disabilities have the right to a FAPE. A FAPE means special education and related services that are available to the student at no charge to the parent or guardian, meet state educational standards, and conform to the student’s IEP. The primary vehicle for the delivery of a FAPE is an IEP. School districts create an IEP for each disabled student eligible for special education services through a cooperative process involving student’s parents and school officials who form an IEP team. 63. Because the IEP team, specifically the District members of the team, could not agree that Student was eligible for special education under the category of OHI, the District did not develop an IEP for Student. Had the District developed one, it is reasonable to assume it would have contained one or more organizational goals, and Student would have attended an RSP class for one period each school day during which he would have been taught organization and other strategies to compensate for his ADHD, and to assist him in learning to work independently and still make academic progress. 13 This finding should not be interpreted as a finding that any student who requires parental homework assistance and tutoring requires special education services. Rather, Parents’ testimony established that Student requires extensive parental intervention to stay on task and help him break down large assignments into smaller tasks, and Student persuasively testified that his inattention in class was a product of his ADHD. 64. “An IEP is a snapshot, not a retrospective.” 14 It must be evaluated in terms of what was objectively reasonable when the IEP was developed. An IEP is evaluated in light of information available at the time it was developed; it is not judged in hindsight. 65. School districts may be ordered to provide compensatory education or additional services to a pupil who has been denied a free appropriate public education. The conduct of both parties must be reviewed and considered to determine whether this relief is appropriate. These are equitable remedies that courts and ALJs may employ to craft appropriate relief for a party. An award of compensatory education need not provide a dayfor-day compensation. An award to compensate for past violations must rely on an individualized evaluation of the individual student’s needs. The award must be reasonably calculated to provide the educational benefits that likely would have accrued from special education services the school district should have supplied in the first place. 66. The evidence established that the District should have found Student eligible for special education services due to ADHD under the category of OHI. Had it done so at the IEP team meeting of April 19, 2011, the IEP team would then have been required to develop an IEP for Student at that IEP meeting, or at another held within 30 days, and services would then begin shortly thereafter. 15 Student could then have begun receiving special education services to help him to develop organizational skills and compensatory strategies to help him succeed in school in spite of his ADHD. 67. When Student testified, he stated that his first year in high school, the 2011-2012 SY was going well. He was pleased that all of his teachers utilized a computerized system that enabled him to log in to a site for each teacher that would contain the current homework assignments. However, Parents testified that they were still helping Student to complete homework, and it was still an ongoing struggle each night. 68. Student persuasively testified that he realized that this school year is easier for him because, just like in sixth grade when he began middle school, this is a transition year from one school level to another, and a greater effort is made to provide students with lighter workloads and greater assistance to ease the transition. Dr. Kosters described sixth and ninth grade in the same manner. Student was very credible in responding to questioning by the ALJ that this was just his perception, not something that an adult had told him. However, it is anticipated that the workload for Student will intensify with each succeeding high school year until he graduates. 14 Adams v. State of Oregon (9th Cir. 1999) 195 F.3d 1141, 1149. 15 34 C.F.R. § 300.323(c)(1); Ed. Code § 56344, subd. (c). 1. Under Schaffer v. Weast (2005) 546 U.S. 49 [126 S.Ct. 528, 163 L.Ed.2d 387], the party who filed the request for due process has the burden of persuasion at the due process hearing. Student bears the burden of persuasion for the issue contained in his complaint. 16 Although the District was not legally required to develop the IEP at the April 19, 2011 IEP team meeting pursuant to Education Code section 56344 (c), the IEP team members present were certainly capable of doing so since Dr. Kosters, Ms. Zlatoper, and Ms. O’Toole were all present, and had the necessary expertise to do so, in consultation with Parents. 17 Nothing precludes Parents and the District from choosing a provider other than an NPA to provide these services. Issue: Did the District deny Student a FAPE from April 19, 2011, through the end of the 2010-2011 SY, by failing to make him eligible for special education and specialized instruction under the category of OHI? 11. Legal Conclusions 2-10 and Factual Findings 1-63 establish that the District should have agreed that Student was eligible for special education under the category of OHI at the IEP team meeting of April 19, 2011. The District should have then provided him with an appropriate IEP and services until the end of the 2010-2011 SY. Dr. Kosters appropriately diagnosed him with ADHD in her 2010 assessment. This diagnosis was based on interviews with Student and at least one of his Parents, surveys completed by Student and one or both Parents, as well as Student’s performance as demonstrated by both his scores and his behaviors when tested using standardized assessment tools. Because Student is in the GATE program and highly intelligent, that does not necessarily mean that he is ineligible for special education services under the category of OHI. Rather, until he was confronted with the heavier academic responsibilities and emphasis on independently completing work in the seventh and eighth grade, Student’s high intelligence, coupled with Parents’ ongoing assistance, helped him to compensate for the deficits that resulted from his ADHD. 12. The evidence supports a finding that Student required special education services due to his ADHD. He dropped French after the first semester of the 2010-2011 SY, even though he could have achieved high school credit if he successfully completed the school year in that class. Student credibly testified that he was unable to sustain the alertness necessary to keep track of everything that was going on in this class. At the time he was granted permission to drop the class, he had a grade of D-, although he was permitted to make up work so that his final grade for the trimester was a C-. Further, although Student passed algebra with a grade of B each trimester, the evidence established that this was probably due to Mr. Lloyd’s accommodation of permitting him to get full credit for incomplete homework assignments, and the evidence established that most of his algebra assignments were incomplete. 18 Homework assignments accounted for 35% of Student’s grade in science, yet the evidence established that he only turned in 30% of his assignments. Further, the evidence established that Student only turned in 50% of his class work in science. However, Student tested extremely well, and excelled in that class during the last trimester, and had many opportunities to earn extra credit which probably accounted for his A grade in science at the end of the 2010-2011 SY. 13. The District argues that because Student was passing all his classes, scoring extremely well on state standardized testing, and matriculating towards a high school diploma, he had no need for specialized instruction, and therefore was not eligible for special education. According to the District, Student was able to access the curriculum. However, the evidence established that Student’s success in school was due to a combination of factors that included his high cognitive ability, Parents spending several hours each day to ensure he completed his assignments, and, in the eighth grade outside tutoring. The parental assistance was much more than that routinely provided by other parents in the District. 14. The District also contends that the type of services recommended by Dr. Kosters is not specialized instruction. However, this is analogous to a claim that a child who requires extensive behavioral interventions to address serious maladaptive behaviors will not be receiving “specialized instruction,” and is not in need of special education if he is passing his classes, performing well on standardized testing, and matriculating year to year. Accordingly, Dr. Kosters’s proposed remedy of one hour per day in a setting where he is taught organizational skills and strategies to address the symptoms of his ADHD is found to meet the criteria of “specialized instruction.” Further, Dr. Kosters also persuasively opined, and the evidence established, that Student makes progress in classes that are highly structured and taught interactively. Although such classes are often found in the general education environment, an RSP teacher could work collaboratively with a general education teacher to ensure that a specific class could be taught in such a manner as to enable Student to make educational progress. 18 Although Mr. Lloyd testified that Student turned in incomplete assignments with Parents signature once every five or six schooldays, Parents persuasively testified that this occurred much more frequently than testified to by Mr. Lloyd. 16. As established by Legal Conclusion 15 and Factual findings 64-69, although Student is apparently doing well in his freshman year of high school, this is a transition year, and it is extremely probable that without specialized instruction to teach him strategies and tools to compensate for the deficits caused by his ADHD, and other supports and accommodations, he could once again begin to flounder in the general education environment in subsequent more challenging high school years. Accordingly, Student is awarded 36 hours of compensatory education to be provided by an NPA, as detailed in Factual Finding 69. 1. Student is eligible for special education under the category of OHI due to his ADHD. 2. The District shall pay for Student to be provided with 36 hours of instruction by an NPA of Parents’ choosing in the areas of organization and executive functioning. Unless it is impracticable, these services shall be provided in a school setting. Education Code section 56507, subdivision (d), requires that the hearing decision indicate the extent to which each party has prevailed on each issue heard and decided. Student prevailed on the issue that was decided.